Home › blog › Diamond Geezers! 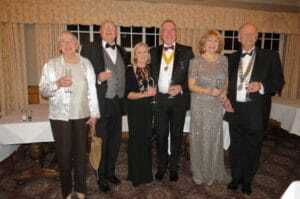 The great and the good from Swanage and Purbeck, including Club members, Business Partners, Friends of Rotary, Past members and other Rotary clubs assembled at the Knoll House Hotel on Wednesday 20th March to celebrate the Club’s 60th Charter. Amongst those present to commemorate all those years of fun, fellowship and service to the local community were our mother club Bournemouth, our daughter club Wareham and representatives of seven other Rotary clubs. We were honoured to also welcome RIBI National President Debbie Hodge and District 1110 Governor Allan Smith to the event as well as Swanage Town Mayor Mike Bonfield. RIBI President Debbie, proposing a toast to the club, spoke warmly about the Club’s history and achievements. In response, PDG David Pike further detailed some of the more memorable events from the club’s past. Then Club President Linda Winter, proposing a toast to the guests, explained how important the local community and visitors to our community are to the club’s ongoing success. 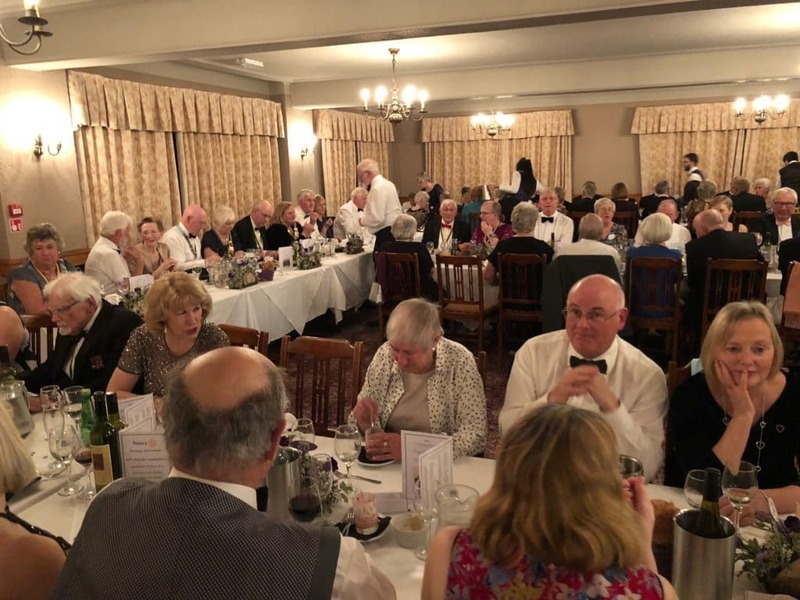 District Governor Allan Smith responded on behalf of the guests and highlighted the important place that Swanage & Purbeck Rotary holds in the life of District 1110.